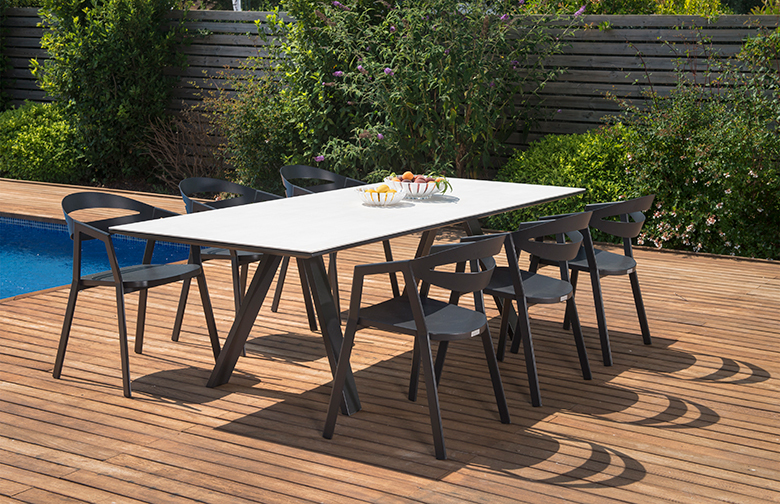 Including dining chair, bar height chair and conversation chair, Gardenart is providing clean and contemporary designed products to the market. 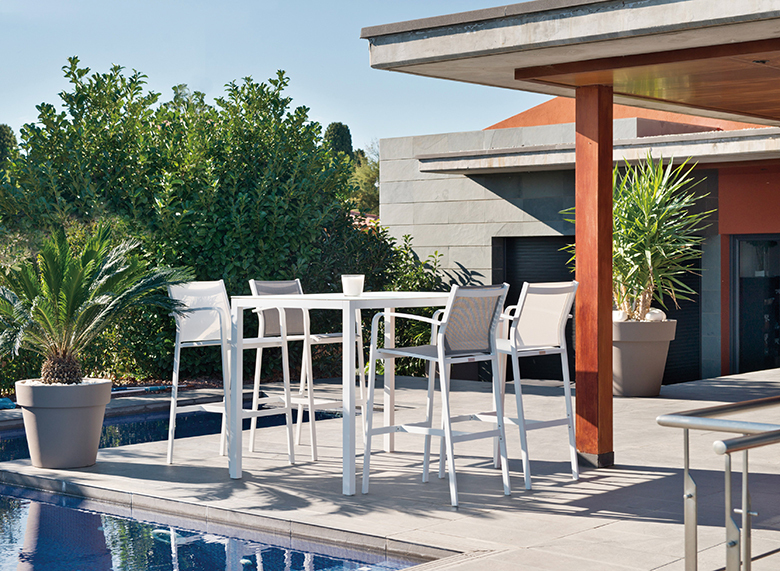 Considering somatology, Gardenart’s chairs are all in the right proportions, the perfect dimensions bring you tremendous seating comfort and delight during your outdoor hours. Rustproof tubular aluminum frame is the main and common material for all Gardenart chairs. 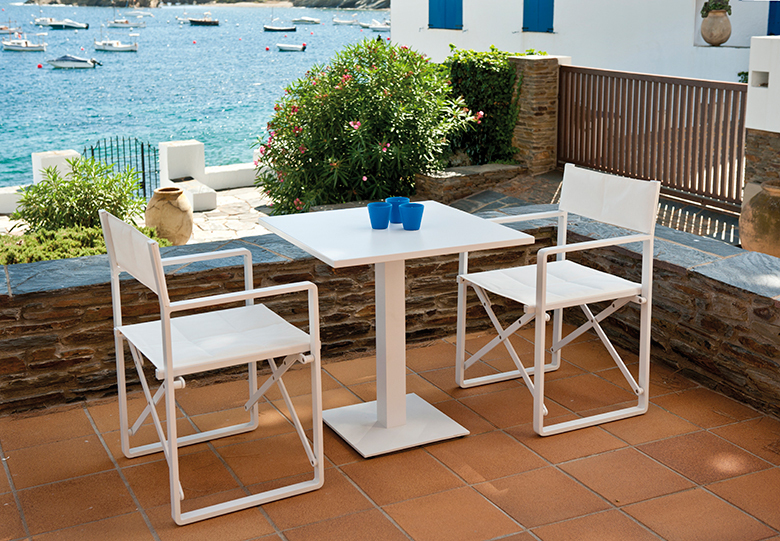 Exceptionally strong in comparison to its weight, finished with different colors of powder-coated surface, aluminum is a enduring choice for outdoor. Aluminum slat and aluminum plate chairs has a modern and European-inspired look, machinability aluminum offering the possibility to shape the chairs in all styles. Combining with aluminum frame, we offer breathable, easy care and weather-friendly sling mesh. PE core with PVC coat machine woven mesh, strong and elastic, provides hours of comfort during your enjoying it outdoor. 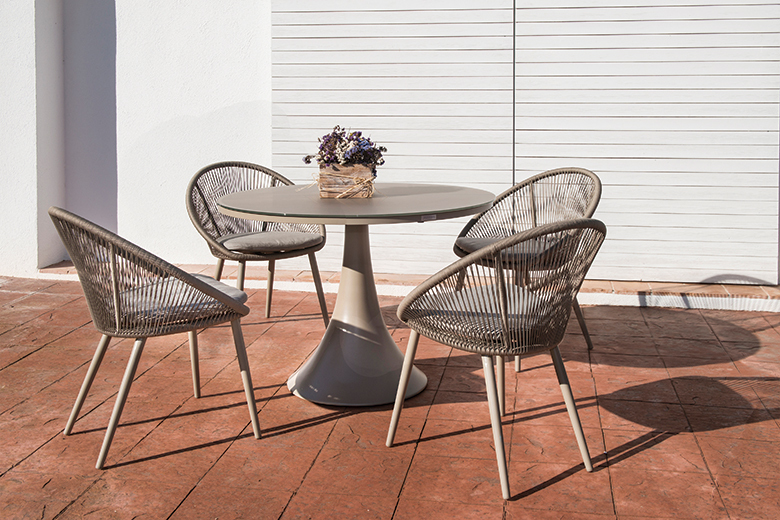 We bring the elegance of indoor upholstered furniture for the outdoor by covering aluminum frame with sling mesh. Besides sling, we also combine sustainably harvested teak wood on our chairs. 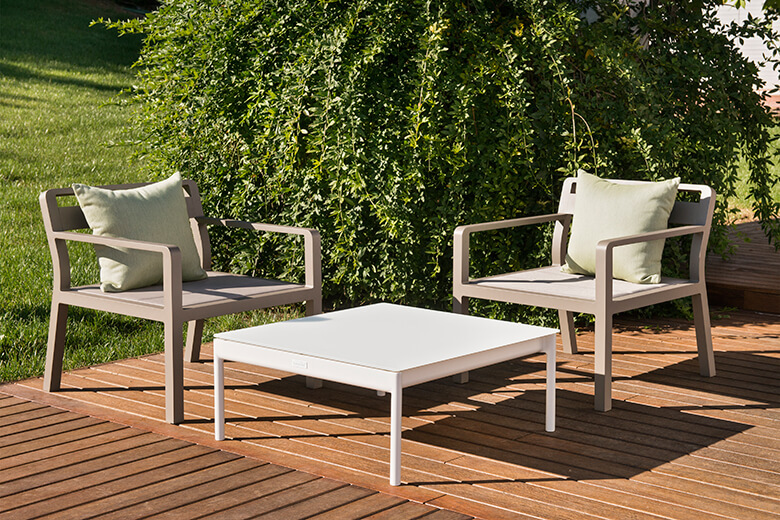 Natural, durable teak which will weather to a silvery grey with exposure to outdoor environment, is the ideal outdoor material to put in your garden.